Biarritz Airport will welcome the 45th G7 summit from Friday 23th august to 26 august 2019 inclusive. Due to safety reasons, the airport will be closed during this period. By Prefectural decree of March 19th 2019, vehicules will be forbidden to park in all airport’s car parks from friday August 23th 7 a.m to monday August 26th 8 p.m. 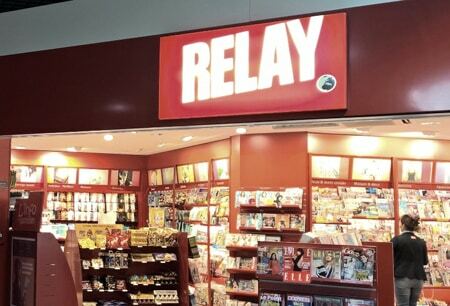 Located in the departure hall, Relay offers a wide range of newspapers, books, magazines, postcards, regional products and more. 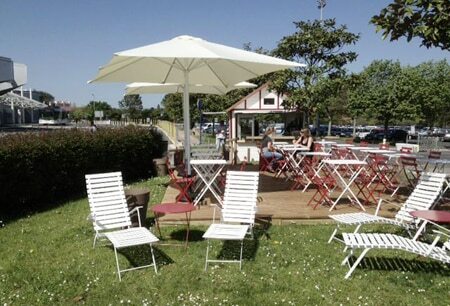 Located outside the terminal near the car parks, la Peña welcomes you with its wide range of sandwiches and drinks. 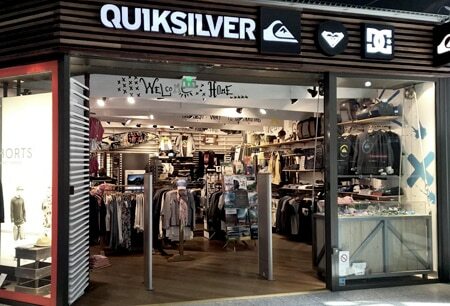 Located in the departure hall, Quiksilver offers a wide range of accessories and clothing, sunglasses, bags, swimsuits and more. The taste’n fly bar has a wide range of take-away regional products as well as sandwiches and drinks. 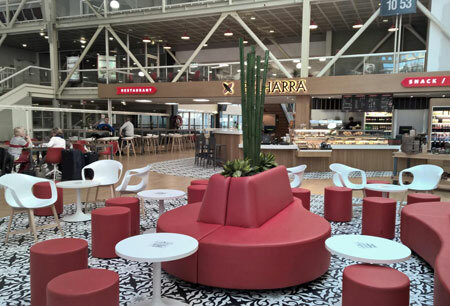 Located in the middle of the terminal, the bar and restaurant Belharra offers both table service and fast food service. Basque country specialities, sandwiches, drinks, pastries and regional products to take away are available. Your e-mail address must be collected to process your request for notification. Your e- mail address is sent exclusively to authorized personnel from SMAEABAB, member of the communication department and will be stored until you unsubscribe. Pursuant to the French Data Protection Act, you have the right to access, correct and object to your personal data, which you can exercise by sending a request via this form or by mail to the postal address in section I of our confidentiality policy (or DPO mail address). Link to confidentiality policy.